Tesla is about to launch a mysterious new line of products. The only hint CEO Elon Musk is willing to give about the new lineup: it's not a new electric car. 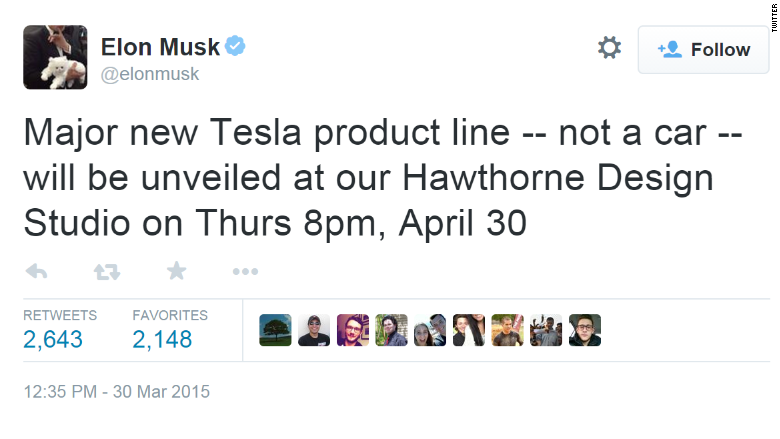 Musk tweeted that the company will show off its new product line at the company's Hawthorne, California, Design Studio on April 30 at 8 p.m. PT. So what does Musk have up his sleeve? A cologne? An underwear line? Healthy snack options? It's possible that Musk gave a hint during a recent StarTalk Radio interview with astrophysicist Neil deGrasse Tyson. During the podcast, Musk said that when he was in college, he surmised that there were five things that "are most going to affect the future of humanity: the Internet, production and consumption of sustainable energy, space exploration and exploring life beyond earth, artificial intelligence and rewriting human genetics. Musk has already done three of those things. As a co-founder of PayPal, he was an early Internet pioneer. 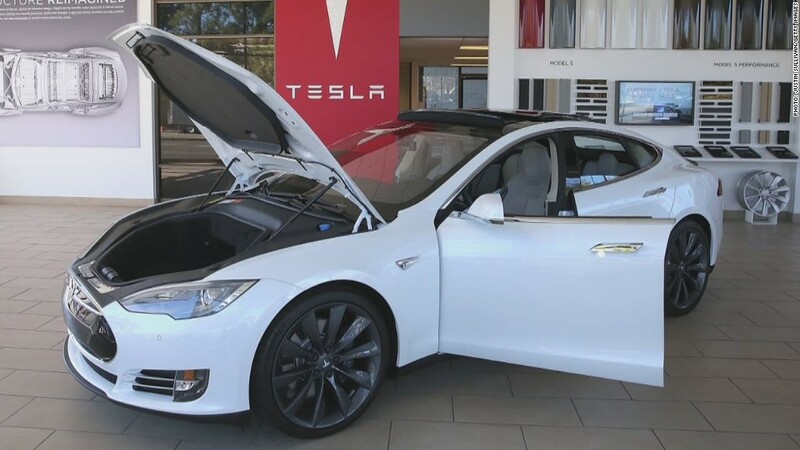 With Tesla (TSLA), he has developed a sustainable energy solution with a lineup of electric cars. And his SpaceX company is launching rockets into space. Could AI and rewriting human genetics be next? Or is it a lineup of batteries or chargers? We'll find out on April 30.